Shots have been fired at several locations during new protests in Milwaukee, Wisconsin, police say, as demonstrators took to the streets for a second night. Protests erupted on August 13 after 23-year-old African-American Sylville Smith was shot dead in a police chase. Milwaukee Mayor Tom Barrett said Sylville Smith did not drop a gun he was holding when told to do so. Police violence against the black community in the past two years has prompted huge protests. The Milwaukee Police Department tweeted that shots had been fired at several locations before and after midnight on August 14, local time. Rocks were also thrown at police as they attempted to disperse crowds in the Burleigh area. Officers were making “multiple arrests” in the Sherman and Burleigh districts, police said. One civilian had earlier been taken to hospital after he suffered a gunshot wound. Local news footage also showed a car on fire. On August 13, cars and buildings, including a petrol station, had been set ablaze. According to Milwaukee police, Sylville Smith had fled from a car after being stopped by officers in traffic on Saturday afternoon; he died from his injuries at the scene. 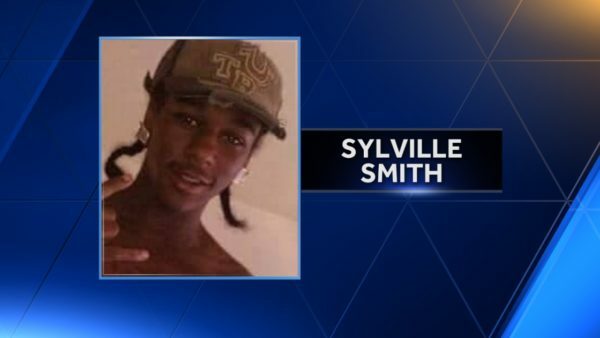 Sylville Smith had a “lengthy arrest record”, police said on August 14. The Milwaukee Journal-Sentinel reported the man had been charged over a shooting and witness intimidation, charges that were eventually dropped. Milwaukee police chief Edward Flynn did not say what prompted officers to stop Sylville Smith’s car, saying only that he was “behaving suspiciously”. Footage of the shooting was captured by a body camera worn by the officer who fired the shots, who was African-American. On August 14, Wisconsin Governor Scott Walker made the National Guard available to Milwaukee police should more violence occur later in the day. Khalif Rainey, who represents the area where the violence hit on Milwaukee’s city council, said people were “tired of living under this oppression” in a city that is 40% black. In 2014, police shot dead an unarmed black man, Dontre Hamilton, in Milwaukee, leading to protests in the city. Prosecutors chose not to charge the officer responsible. In December, the DoJ said it would carry a full review of Milwaukee’s police department, at its request, to look into areas for improvement.